As the 2019 elections are fast approaching, politicians are taking the bull by the horn as the Kaduna State Governor Nasir El-Rufai is confident that his party, the All Progressives Congress (APC), will win the Presidency and also retain its 24 states in 2019. The governor said this in an exclusive interview which aired on Channels Television’s political flagship programme, Sunday Politics. “I do not have any doubt in my mind that we are going to win the next elections; not only in the centre but we are going to present our 24 states, and even more,” he said. 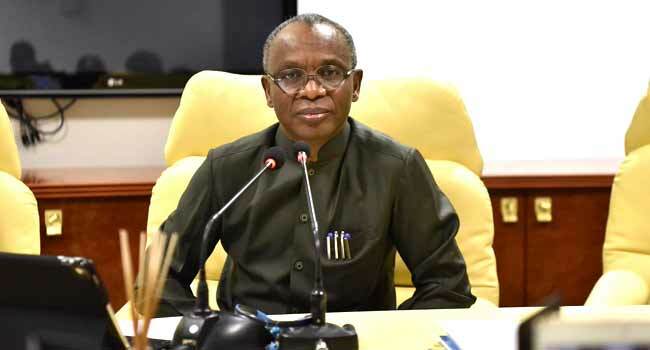 Amid the criticism that has hit President Muhhamadu Buhari’s administration recently, El-Rufai believes the APC remains focused on delivering on its campaign promises to Nigerians. 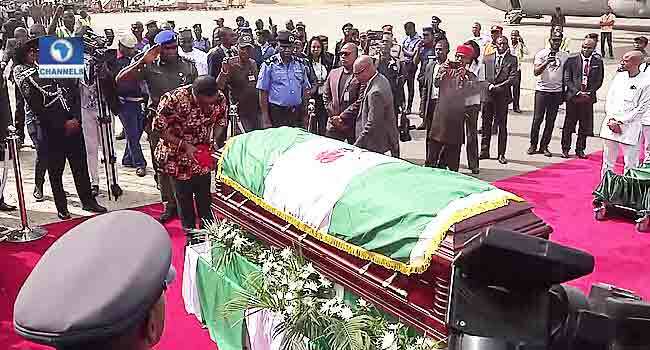 Nigerians are still mourning the death of the former Vice President, Alex Ekwueme, as the remains of his body arrived the Presidential Wing of the Nnamdi Azikiwe International Airport, Abuja. The body arrived the country from London, the United Kingdom on Monday, January 29 around 5:00 am. Family members, cabinet members and top government functionaries including the Vice President, Yemi Osinbajo were on standby to witness the parade of honour of the former Vice-president. 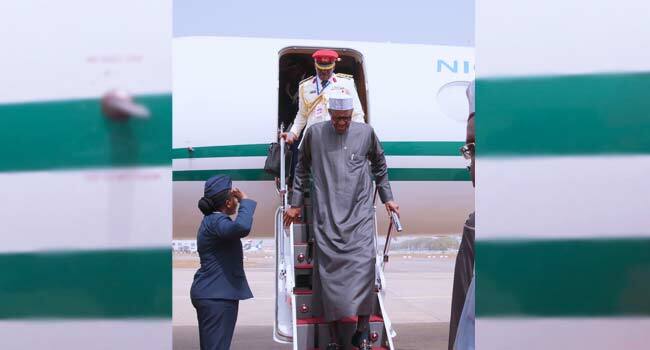 On Tuesday, after spending about four days attending the African Union Summit which was held in Addis Ababa, the Ethiopia capital, President Muhammadu Buhari left the country for Nigeria. While at the summit, Buhari joined 14 other members of the Peace and Security Council (PSC), a standing organ of the AU for the prevention, management and resolution of conflicts. Some of the areas of discussions were corruption, the persistence of violent conflicts and crisis situations in some parts of the continent, an upsurge of Internally Displaced Persons (IDPs) and refugees, climate change and its consequences as well as the issue of the derailment of national development programmes. The security situation in Somalia, South Sudan, Libya, Guinea Bissau, the Central African Republic and the Democratic Republic of Congo (DRC). President Buhari left Abuja for the summit in Ethiopia on Friday, January 26, 2018. he travelled in the company of the Minister of Foreign Affairs, Geoffrey Onyeama; Minister of Justice and Attorney-General of the Federation, Abubakar Malami; and the Minister of Interior, Abdulrahman Danbazau, amongst others. The President, Muhammadu Buhari, arrived Abuja, after a successful outing at the 30th session of the Africa Union summit held in Addis Ababa, Ethiopia. He was welcomed at the Nnamdi Azikiwe International Airport by the FCT Minister, Mallam Muhammad Musa Bello, Minister of State for Aviation, Senator Hadi Sirika; Director General of NIA, Ahmed Rufai; Attorney General and Minister of Justice, Abubakar Malami, and the Chief of Staff, Mallam Abba Kyari. 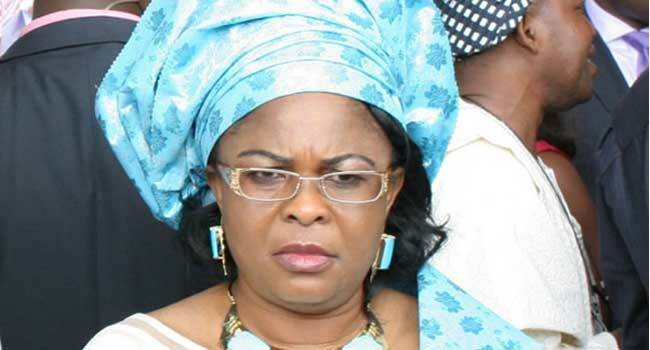 Still, in the nation’s capital, a Federal High Court in Abuja has struck out a suit filed by a former first lady, Mrs Patience Jonathan against the Economic and Financial Crimes Commission (EFCC). 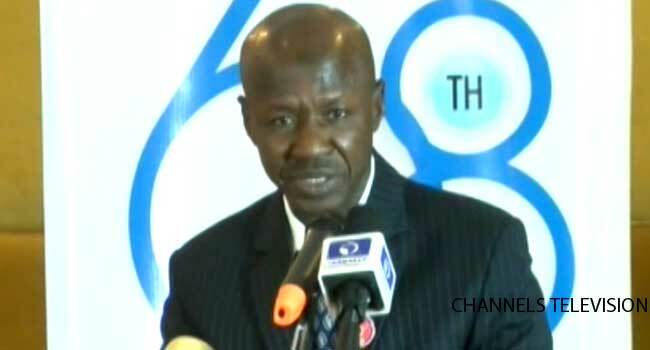 The presiding judge, Justice John Tsoho who struck out the fundamental rights enforcement suit filed by Mrs Jonathan held that contrary to Mrs Jonathan’s claim of indiscriminate harassment and freezing of her accounts without invitation, the steps were taken by the EFCC were upon reasonable suspicion. The court also noted that the former first lady did not tender any verifiable evidence to show how her rights to dignity were violated. In addition, Justice Tsoho observed that Mrs Jonathan’s lawyer failed to adduce cogent evidence showing how her residence was raided. It was a tragic day for residents in Nasarawa, as Seven persons were on Tuesday killed and two others injured in Kadarko Community of Keana Local Government Area, Nasarawa State. 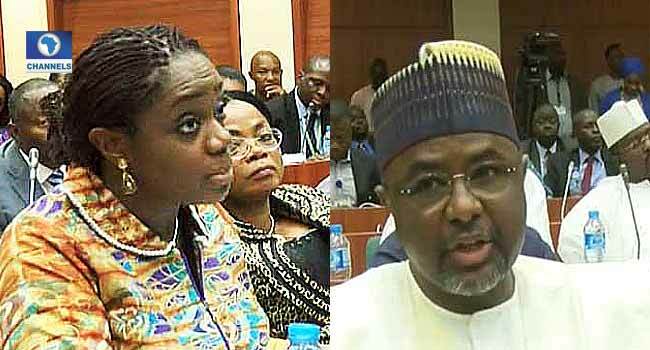 In the business world, the Minister of Finance, Kemi Adeosun, insists that the decision to suspend the former Director General (DG) of the Securities and Exchange Commission (SEC), Mounir Gwarzo, paid off. According to her, the decision helped to instil confidence in Nigeria’s capital market as well as its investors. “I think that the position that we took to suspend Mr Mounir was the right one, it instilled confidence in the Capital Market. It told investors that Nigeria takes seriously, issues of integrity and that their funds which we work very very hard to attract into Nigeria, are safe,” she said. Adeosun made this known on Tuesday while addressing members of the House of Representatives Committee on Capital Market and Institutions. The former SEC DG had questioned the Finance Minister’s legality to suspend him and with the growing controversy, the committee was set up to help resolve the conflict between the two government officials. There was yet another explosion at the IDPs camp in Dalori, Borno State as a suspected Boko Haram suicide bomber attacked the place, killing five and injuring 39 others. This was confirmed in a statement by the National Emergency Management Agency (NEMA). According to the statement, one of the suicide bombers who attempted to gain entrance into the camp, detonated his IED at the perimeter fencing of the camp killing himself. The second one, however, gained entrance into the camp where he killed 3 persons as well as himself and injured 39 others. Those injured were immediately taken to various hospitals within the city centre of Maiduguri where they are undergoing treatment. NEMA says so far, peace has been restored to the camp. The former President, Olusegun Obasanjo, is still drawing attention to the crisis affecting the country, as he has formally registered as a member of the Coalition For Nigeria Movement, the group he called for to help Nigeria overcome the myriad of challenges it is facing. The former President registered as a member of the coalition in Abeokuta, the Ogun State capital on Thursday, a day after the new movement was launched in the Federal Capital Territory, Abuja. Still, in the nation’s capital, a Federal High Court in Abuja has ruled that the Senate is conferred with the authority to ensure the choice of “only suitable and credible persons for appointment to the office”. It was good news for Nigeria as a country as 26 Boko Haram members surrendered to the military authorities in Damboa Local Government Area of Borno State. The ‘repentant’ terrorists were paraded on Friday in Maiduguri, the Borno State capital after being quizzed by the military. They were said to have surrendered last week and turned over arms and ammunition including RPGs, after which they were taken to Maiduguri for deradicalization. On Friday, February 2, 2018, Former President Olusegun Obasanjo, says the appointment of Nigeria’s service chiefs is not in line with the Federal Character principle as provided by the Constitution. The former President who said this on Thursday at an even in Abeokuta, the Ogun State capital, noted that appointment into major offices must be fairly distributed across the country. It was a time of reflection and paying tributes to a man many have described as selfless. As the remains of the former Vice President, Alex Ekwueme was laid to rest on February 2, 2018 amid tributes. 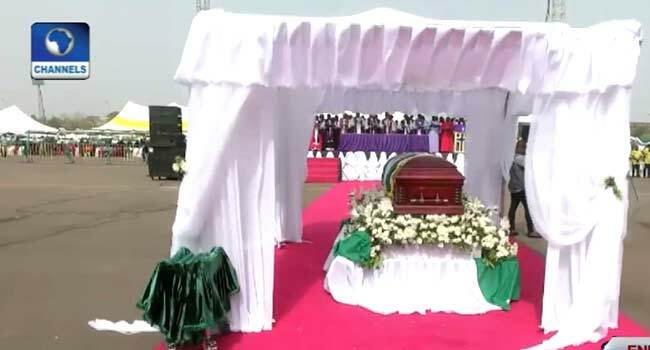 Top government officials, close friends and family, gathered at his hometown in Oko Anambra state, where he was buried on Friday. The former Vice President whose remains returned to Nigeria on Monday, died at a hospital in the London United Kingdom on November 19, 2017, following a respiratory illness. Furthering his education, he obtained a PhD in Architecture from the University of Strathclyde, before gaining the BL (honours) degree from the Nigerian Law School. Over the years, he played several roles domestically and internationally, cementing his status as a statesman. In the course of the week, tributes poured in from many prominent Nigerians and top government officials who shared experiences from their relationship with him and described him as a rare gem who will be greatly missed. As he is finally laid to rest today, the hope of many is that his legacies live on and Nigeria continues to uphold the virtues of unity and integrity and selfless service as he had always practised. In a way of keeping his name and legacy alive, the Federal Government has renamed Federal University Ndufu Alike, in Ebonyi State, to Alex Ekwueme Federal University. Vice President Professor Yemi Osinbajo made the announcement on Friday, during the funeral service of the late elder statesman, Dr Alex Ekwueme. He paid tributes to the late former Vice President, describing him as a rare gem who always upheld the principles of personal sacrifice and service to humanity. “We celebrate Alex Ekwueme because he practiced the eternal principles that set men and women apart from their peers, whether they are poor or rich, famous or unknown; the principles of personal sacrifice for others, service to those who cannot offer a reward, the courage of one’s convictions, bravery in the face of terror”. Family, friends, and other top government officials were present at the event which is ongoing in his hometown in Oko, Anambra State. Some prominent personalities who were opportune to relate with him during his lifetime had a lot to say concerning him. Here are some of the heartwarming comments from speakers and well-wishers from the early moments of his death to the week-long ceremony held in Enugu and Anambra states, in honour of him. “Ekwueme’s death is a raw pain which only God can heal. We had a father-son relationship that made me look forward to his private visits and his attendance at most of my events”. “We paid our last respects to Former Vice President, Dr. Alex Ekwueme, GCON, a respected statesman, patriot, and hero of democracy. May His Soul Rest in Peace. “Dr. Alex Ekwueme showed that there is a role for professionals in politics and inspired many people including myself that we could contribute to the growth of our country”. “The late Dr Ekwueme was a selfless, disciplined and patriotic Nigerian who lived a worthy and exemplary life. His demise is a loss to his family who would miss a caring patriarch, the people of Anambra State who would miss a guide and the good people of Nigeria who would miss a leader. “His irrepressible thirst for knowledge and education, which propelled his foray into many fields of intellectual pursuit and his distinguished role in the development of the architectural profession in Nigeria are shining examples to the younger generation, many of whom have, in fact, benefited from his philanthropy and goodwill. 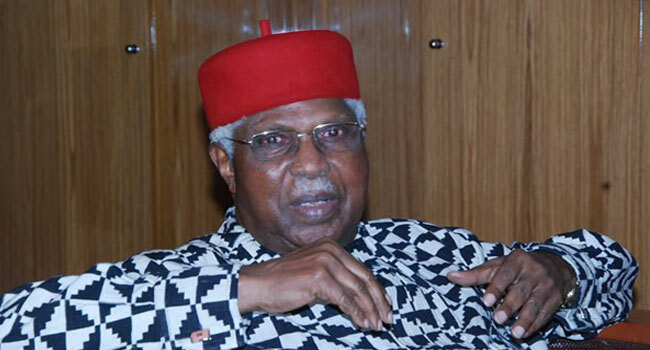 “It cannot be gainsaid that, over the years, Dr Ekwueme had shown courage of conviction and integrity in his dealings at the pinnacle of national affairs, notably with his record of sincerity as Vice-President of Nigeria between 1979 and 1983, and as Chairman of the Board of Trustees of Peoples Democratic Party (PDP) during my administration as a democratically-elected President of Nigeria”. Read here. “I haven’t read a single negative story about that great man. God give us men. Real men like Dr. Alex”.